The Nigeria Labour Congress (NLC), the umbrella body of workers in the country, starts its delegates conference in Abuja today. Comrade Ayuba Wabba, and his executive council members are expected to be returned unopposed on the occasion. TONY AKOWE reports that old challenges await the leadership to confront. 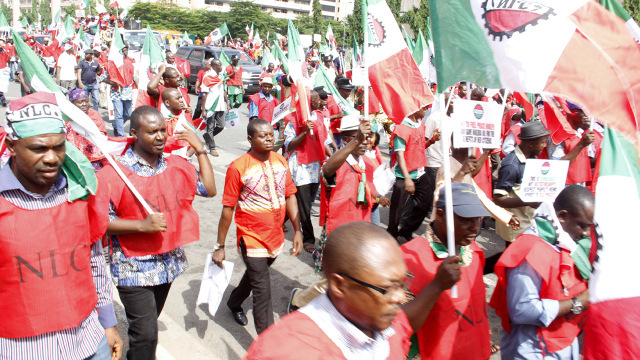 The Nigeria Labour Congress (NLC) will hold its national delegates conference today at the International Conference Centre in Abuja to review the state of workers in the last four years and map out plans for the future. The two-day conference, according to sources, is expected to affirm the current leadership of the union led by Comrade Ayuba Wabba for a second term. The tenure of the current leadership expires this month. The source told The Nation that every member of the National Administrative Council, except one of the deputy Presidents, Comrade Kiri Mohammed, will be returned unopposed to lead the Congress for another four years. Mohammed, who was elected Deputy President when he was President of Nigeria Civil Service Union, has retired from service, making him ineligible to re-contest. In his place, The Nation was informed, one of the four Vice Chairmen and President of the Construction Workers Union, Comrade Amaechi Asughuna, may take his place. The conference theme is “Towards a decade of activism for the promotion of Labour unity, national rebirth and development”. According to him, given the record of achievements of NLC “Nigeria Republic has a lot to learn from the labour movement in holding elections and serving the people in poverty eradication”. When in 2015, workers went to the poll to elect a leadership, they did with a lot of hope and enthusiasm. That election, however, threatened the unity of the Labour movement in Nigeria as a group led by the General Secretary of the National Union of Electricity Employees, Joe Ajaero, staged a walk out at the final stage of the elections, which took place at the Eagle Square. Ajaero, who was one of the candidates for the position of the President and his group, alleged that the process was manipulated to favour Wabba, who was then President of the Medical and Health Workers Union of Nigeria and Treasurer of the Nigeria Labour Congress. He addressed a news conference rejecting the outcome of the elections, while scheduling another election for Lagos. They were to announce a few days later that they held a delegate conference where Ajaero was elected President. The elders of the union led by its first president, Comrade Hassan Sumonnu, intervened. At the reconciliation meeting at the Transcorp Hilton, the factions agreed to bury the hatchet. But that did not last. Four years after the election, it is still not uhuru as the Ajaero faction has not recognised Wabba as Nigeria’s number one worker. The Ajaero faction eventually metamorphosed into United Labour Congress (ULC) and still struggling to get government registration as a Labour Centre. The Trade Union Congress (TUC) backed out of a planned strike at the last minute; the Wabba NLC went ahead with the strike, which was largely not successful. The Congress has continued to remind Nigerians that staying away from the strike and not believing in the leadership of the Congress was a fatal error as promises made by the government t are yet to be fulfilled. One of the major challenges faced by the Congress in the last four years is a new national minimum wage for workers. President Muhammadu Buhari had told Nigerians that he was committed to giving workers a living wage. Labour has had it tough trying to secure a minimum wage for the country. From an initial demand of N56,000 in 2016, organised Labour increased its demand to N66,500, but eventually agreed to a N30,000 minimum wage for workers. While governors have insisted that they cannot pay, Wabba told the House of Representatives adhoc committee that they already had the commitment of 30 governors ready to implement the new wage. He argued that if waste is curbed, all states could pay the money. Wabba told The Nation that if Edo State government under Adams Oshiomhole could increase the minimum wage of workers in the midst of recession and has been paying without default, other states can do the same. The TUC believes it should be easy for governors to pay the N30,000 minimum wage. Its President, Comrade Bobboi Kaigama, spoke while expressing appreciation to the House of Representatives for passing the minimum wage bill into law and appeal to the Senate to follow suit and pass the bill into law. His statement reads: “The Trade Union Congress of Nigeria (TUC) has applauded the House of Representatives and the Nigeria Employers Consultative Association (NECA) for endorsing the N30,000 monthly National Minimum Wage recommended by the Tripartite Committee set up by the Federal Government. The Congress also urged the Senate to do the needful. “As far as welfare is concerned, the position of the lawmakers has in no small measure given workers a sense of belonging. Truth be told, the N30,000 monthly National Minimum Wage that we are even asking for to a family of six actually amounts to less than N50 per meal per person. “It is exclusive of utility bills, school fees, etc. Given our extended family system we are also expected to once in a while extend hands of fellowship to parents, in-laws, relations, friends who have lost their jobs and brothers and sisters in the faith. “We recall that the lawmakers gave their word to speedily facilitate the National Minimum Wage Bill speedy whenever it was brought before it and they have kept their word. To us it means we still have men and women with milk of kindness. While we thank you for the brave move, we also urge you to follow the bill through until the Senate and the Federal Government give a go-ahead to effect payment. One of the premises for the governor saying they cannot pay the new minimum wage has been that majority of them have not been able to implement the current N18,000. Several states are owing salaries and gratuity as well as pensions. As Wabba and others are set to begin a new tenure, old problems, such as the minimum wage, unpaid salaries, pensions and gratuities, will be waiting for resolution. For instance, Wabba will have to convince the Senate to quickly join the House of Representatives in passing the minimum wage bill. Wabba some weeks back urged the Senate to emulate the House or Representatives and expedite action on the passage of the bill so that the President can assent to it immediately for workers to start enjoying the new minimum wage. He said: “This has confirmed the wishes of the people and even the social partners, because during the public hearing , organised private sector confirmed that N30,000 was mutually agreed and also all other sectors came in and said that it was N30,000 that was mutually agreed. “So clearly speaking, I think what happened at the National Assembly is just to uphold the wishes of the people expressed at the Tripartite Committee and also centrally it is also to recognise workers contributions to national development. “We plead with the Senate to also follow the same path and try to see how the action should be expedited and pass into law, so that it can be assented to and workers would begin to benefit from it.